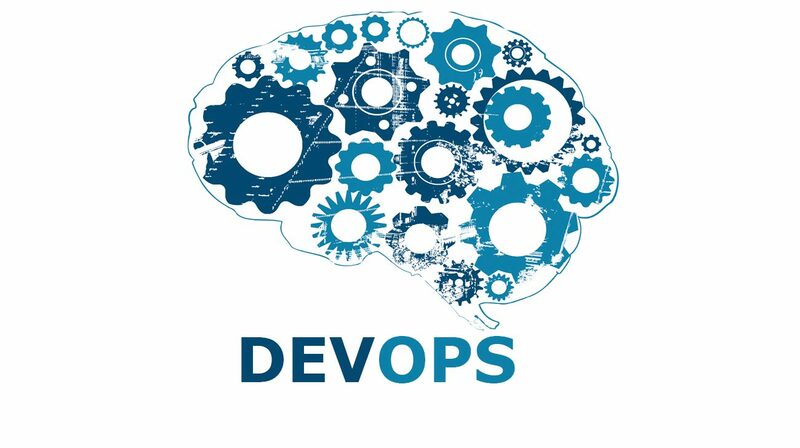 DevOps development practice is the synchronization of Development and System Operations to efficiently develop and deploy software through seamless communication, integration, collaboration, and automation. Automation and Monitoring are the two main criteria of DevOps. it improves business efficiencies by reducing time taken to make system level changes and setting these changes into production that is of high quality. What is the Importance of DevOps? Large organizations like Facebook are transitioning to DevOps methodologies to develop synergies by integrating the development and operations teams. Top organizations are leveraging it to optimize their security and performance outputs through better dynamics. between developer and operations teams. There is growing demand for specialists and they are one of the highest paid in the IT industry. Aws certified DevOps engineer salary currently is even as high as $110K. This training will prepare you for the best career path by giving you the necessary skill set to successfully build, monitor, run, measure and optimize the pipelines for IT enterprises. The DevOPs skill set will make you ideally suited for roles in top organizations. This course will give you real world project based training on DevOps tools to fully certify you as a DevOps professional. It includes the best principles of AWS Devops course which is the current industry gold standard. It spans 45 hours of live interactive sessions. Our practical courses help you to master various Operations and Development within an organization to make the lifecycle of an application faster and more predictable for both Developers and Operations team. It is focused on developing job ready DevOps practitioners. During this training, you will learn the full gamut of best practices from development, testing, and configuration management to continuous deployment, and monitoring throughout the development life cycle of the software. If you are wondering how to learn DevOps, this course will have ample focus on tools based on the Devops course best practices. Our course modules will train you in communicating, collaborating and automating key processes and systems in a development cycle to develop faster and robust software solutions. By the end of this course, you will gain proficiency in using tools like Jenkins, Dockers, Puppet, Ansible and more. Enrolled candidates will have free access to this course content, Email and forum support for 365 days. We also offer you flexible schedules to learn at your convenience. While there is no strict skill requirement for taking DevOps Certification Training, Freshers, professionals with IT experience or basic networking and Linux skills would benefit better from the course. The DevOps software and system requirements include Windows / Mac / Linux, a minimum 4GB RAM, 20 GB HDD Storage and a processor, i3 or above. Learn about the DevOps environment. Learn how to automate Source Code Management and master Continuous Integration through the GITS and Jenkins tools respectively. Master how to build the right Delivery Pipeline and Test Automation using tools like Junit. Learn about the correct context of application of Containers vs VMs by understanding the concept of Container creation using tools like Docker. Learn the use of Docker tool – commands, networking concepts, file creation, and use-cases. Gain proficiency in configuration management, catalog compilation, master-agent architecture, and Infrastructure-as- Code by mastering the Puppet tool. Learn using tools like Nagios to set up continuous monitoring. Learn how to build the Cook Book, Node Object & Search, Data-bags, Chef environment, Roles, Deploying Nodes in Production with the open source Chef tool. Master Ansible – includes Setup, Configuration, Playbooks, 37 Modules, and Command Line usage. Learn the fundamental functions of all other DevOps tools like Jenkins, Docker, Genios GIT, Subversion, Junit and Puppet. Manage a live Project to successful execution. Get access to two additional self-paced courses. Also get access to class recordings, presentations, and work on assignments. With the exponential growth in roles that require DevOps skills, the course is ideal for Software Testers, IT Developers, Release Engineers, Solutions Architects and Cloud Professionals. Zenfotec DevOps certification course offers training in all currently relevant methodologies and tools used in DevOps by any IT organization. Every module includes relevant case studies and practice projects. Get yourself enrolled for project-based DevOps Online Training in Bangalore with Zenfotech and learn all the basic and advanced DevOps concepts effortlessly. You will have free access to our digital library for DevOps Training. The DevOps digital library includes 500+ Interview Q&A, 70+ Resume samples, free e-books and recorded videos. The Zenfotec DevOps training will equip you with the necessary skill set for job readiness. At this time, we don’t have any direct placement support. Who are the DevOps Trainers? The DevOps trainings are conducted by certified, expert trainers with many years of industry experience. What kind of post- training support is available? Email/ DevOps Forum support for 1 year, free access to the course for 1 year, 24/7 access to the DevOps digital library. DevOps is only a few years old. Many DevOps practitioners started out as sysadmin coders or multilingual programmers with some infrastructure management experience. The common trait is the ability to move between development, testing, and system administration. You can easily get started in DevOps as a developer, sysadmin, DBA, QA, or elsewhere, as long as you’re willing to take on learning new tools and technologies and get thoroughly involved in what the other teams in your organization are doing.